The Spanish CEC member continues growing. The integration of the independent trade union of professionals in the aeronautic industry (SIPA), with around 1100 affiliates in the Airbus group, positions CCP as the leader of independent trade unions in the Spanish manufacturing sector. With the creation of its new aeronautic and aerospace federation, led by SIPA, CCP strengthens its profile as independent and horizontally structured trade union. On September 18th, the “fifth survey on income tax declaration”, written with the contribution of CIDA, has been presented at the National Council for Economics and Labour (CNEL) in Rome. The meeting was attended by CIDA’s President Giorgio Ambrogioni and several economic and political experts. It was an opportunity to effectively demonstrate how the people CIDA represents contribute to tax revenues. Furthermore, it underlined that, to preserve a welfare state that can continue guaranteeing social cohesion and coverage of the weakest, it is essential to regularly monitor welfare expenditure and tax revenues. The event has a particular importance because the ongoing debate on taxation in Italy is very intense, with government proposals on the horizon that could negatively impact public spending. Today, CIDA is mobilising to avoid punitive initiatives on pensions that, with retroactive effect, could undermine the legal certainty in the country. 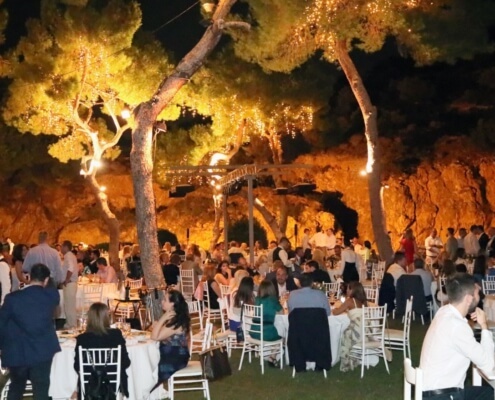 The Association of CEOs (ACEO) held its summer event in the beautiful landscape of Vouliagmeni Lake in July. During the evening, more than 120 members and partners enjoyed the beautiful view of the lake under the sounds of Vanila Swing band, and tasted delicious preparations and cocktails. At this occasion, the participants had the opportunity to know each other better, learn more about activities and upcoming events of ACEO and exchanged views in a warm and relaxed environment. The end of the evening with this magnificent scenery signalled the beginning of the summer holidays, before returning to a productive next quarter in autumn. After seven years, Serbia will again host the SUMMIT100 Leaders of Southeast Europe, a regional gathering of business leaders and highest state officials of the countries in the region. The central topic of the summit will be digital transformation: how to use the 4th industrial revolution as a spring board and thus make a “quantum” leap to the developed and globally competitive region. 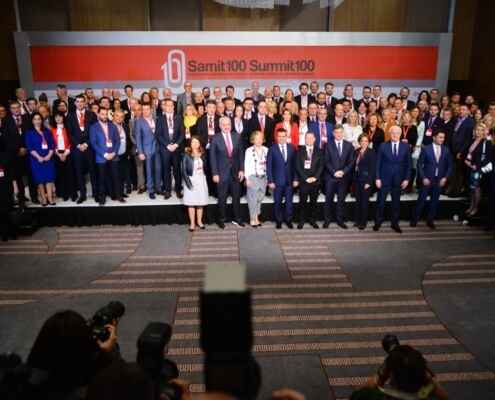 The Summit100 is the first and unique event of its kind in the region, devised as a platform for economic connections and concrete contribution of business leaders to efforts focused on improving economic cooperation and competitiveness of the region. Last June’s general approval of the amendments to the Labour Code, as an outcome of the social partners’ agreement, captured considerable attention. The agreement was reached at a negotiation table that lacked the presence of relevant social partners such as independent trade unions and employers from sectors as relevant as real estate, new retail formats or IT. Regarding the content, the amendments to the Labour Code fail to answer several central questions. Above all, the question of how is it possible that Portugal is a preferential destination for foreigners – like retired Europeans – but inviable for people who work there. The agreement doesn’t respond to the concerns of businesspeople, since for them fiscal and regulatory stability, energy and transport costs are more important than lowering labour costs. It furthermore fails to meet the need of replenishing social consensus, which was undermined by uncontrolled state finances and by the subsequent troika tutelage. The decrease in severance payments and the introduction of caducity for collective labor conventions are only two examples for policies that led to the impoverishment of the middle-class. As a result, salaries almost lowered to the levels of the third world and social security became a perverse version of Nordic flexicurity: hiper-flexibilization without security. One may also ask why capital taxation has not increased compared to labour while intangible assets are not being taxed in Portugal at all. Lastly, the agreement fails to answer new challenges related to work-life balance, as well as the challenges brought about by digitalization.